Digital photography has radically altered our lives, as many more people have cameras on their smartphones, and more people find it easier to take good quality photos. In fact, so many people have taken to using digital cameras that some people no longer hire professional photographers for special events, like weddings. And there’s a new direction that the ubiquitous selfie or family Christmas photo has taken with 3D scanning technology becoming more popular too. 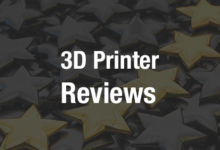 Now, we can get very technical and detailed images of ourselves, turn them into 3D models, and have them 3D printed. Will there be a time when its common to print a special event, as opposed to shooting it? Perhaps. This is the direction that a Minnesota based-business is taking. Oliver Turan, the vice president of CAD Technology Center in Minneapolis, Minnesota, is used to architectural building scanning. But all of that has changed as he has seen the value in offering “people printing services.” There’s a quite a big market for the scanning and printing of people, as the whole concept of the selfie is taken one step further with 3D scanning, modeling, and printing, and right now Turan’s company, ME3D, is the only company offering such a service in Minnesota’s Twin Cities. How does it work? If you are planning on being 3D printed, you’ll stand in the middle of a scanning room that has 60 different cameras simultaneously capture you from all different angles in about half a minute. The only challenge here is that for 3 of those 30 seconds, you have to stand totally still for an accurate image to be formed. Once that’s done, software makes a 3D model based on all the scanned images. Finally, they model is 3D printed using gypsum mineral material that has color embedded in the model. It looks like the company plans to do quite well with this business, because they are opening a store in the Mall of America on October 19, 2015. 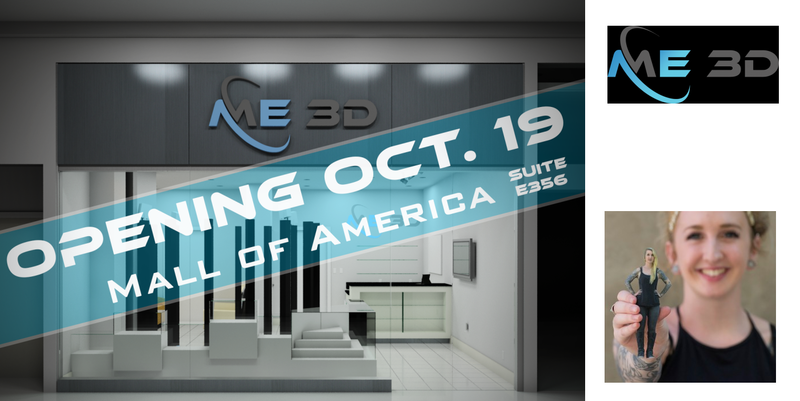 Since the Mall is the largest in the United States, and a major tourist destination unto itself, this location will do well to expose many more people to all of the fascinating things you can do with new 3D scanning and printing technologies. And Turan is quite aware of where people can take this idea. True to life: that’s the idea. Kind of. Or you can follow Turan’s idea and put your head on a superhero or the body of your favorite sports star. Prices vary from $95 all the way up to $645 for a 3D printed mini-me from ME3D, and available options include anything from adding a base to adding “digital plastic surgery” (hey, if you don’t have a six-pack, at least your 3D selfie can). If you live in or near the Twin Cities and the Mall of America, you can check this store out for yourself and see what it’s like to be scanned and printed yourself! This idea is taking off around the globe, as India’s CloneMe also has a 3D printed selfie station at a shopping mall in Bangalore. Are you considering getting your own mini-me figurine? Let us know in the Mall of America 3D Printing forum thread on 3DPB.com.